Sunday, February 10, 2019 3:00 p.m. The beautiful Omni Quartet opens the program with Ravel’s only String Quartet, an elegant and gentle masterpiece weaving ancient melodies of Andalusia with Spanish guitars in Ravel’s trademark French Impressionistic style. Mendelssohn’s String Octet may be the most brilliant work by the boy Felix, written when he was only 16 years old for the weekly (!) house concerts his parents hosted for their two incredibly gifted children. After a stormy opening and a whispering Scherzo in 2/4 time, a triumphant Finale quoting Händel’s ‘Messiah’ will have you skipping in your socks. 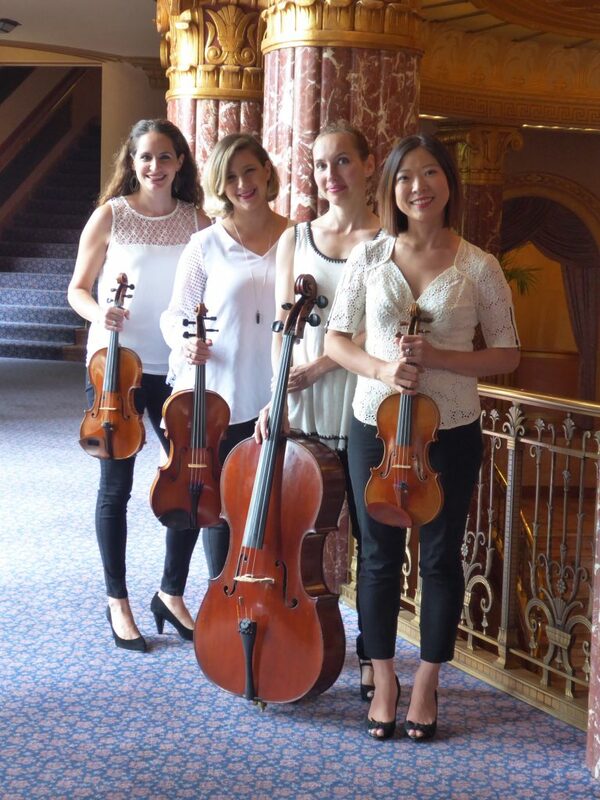 All of the members of the Omni Quartet are also members of the world-renowned Cleveland Orchestra. We are pleased to offer reduced-price tickets for students ages 8-23, thanks to generous funding from the Paul M. Angell Foundation. Students under the age of 18 must be accompanied by an adult (who also qualifies for the student ticket price). Most concert venues are wheelchair accessible. Directions for concerts at private residences are mailed a week in advance. Advance ticket purchase is necessary as seating is limited, and Close Encounters concerts have a tradition of selling out.